Tomato soup definitely is one of my favourite soups. You can make so many varieties with just a base of good tasty tomatoes, garlic and onions. I love to spice my soup off with either Sriracha or Kimchi for a more deep flavour and love adding saucy meatballs filled with smoked paprika powder. For this recipe, you can basically use any tomato soup you prefer as a base. 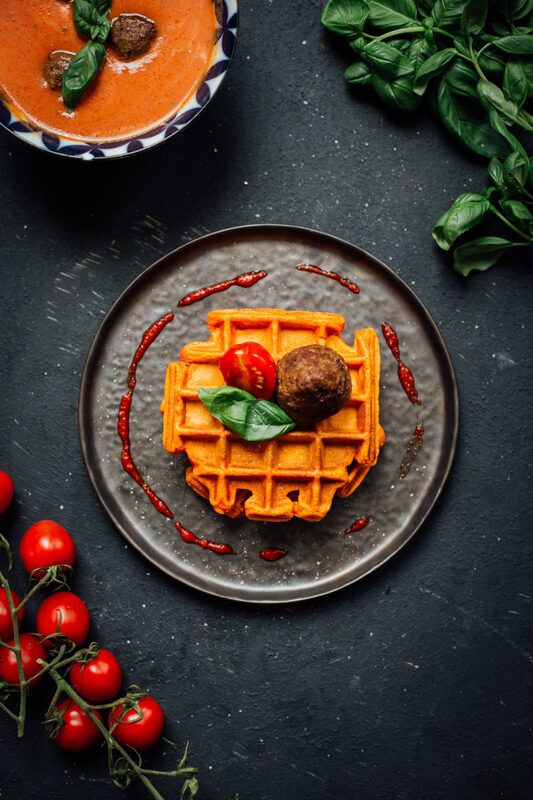 Just mix it together with extra flavour from a good quality tomato paste and you’ve got an amazing dish which would be a perfect starter to surprise guest with for a nice dinner. Happy Waffle Wednesday guys! Mix together the soup with the eggs, tomato paste, Sriracha, and pepper & salt. Sieve the flour on top and mix until you get a nice batter. Heat up your waffle iron and bake a generous amount of batter for one waffle. You can keep the waffles warm in between by putting them in a preheated oven sat around 60℃. 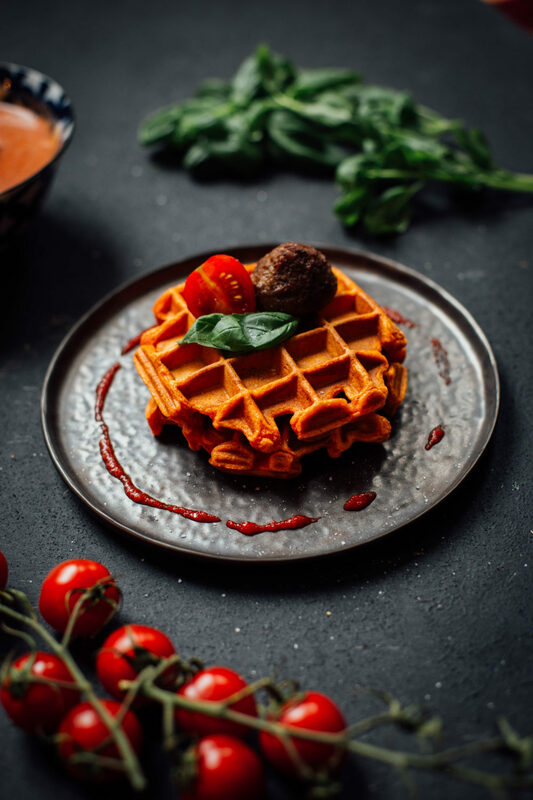 Serve the waffles with meatballs, basil or even tomato soup to dip in. Enjoy!